The vast majority of visitors are well behaved, but with close to five million people passing through the park gates every year, even a small percentage of bad apples can generate a logjam of customer service issues. 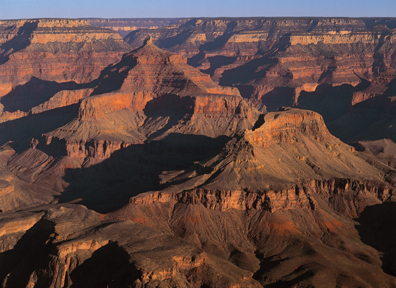 Just about everything about the Grand Canyon is larger than life. Carved out of the Earth’s surface some five to six million years ago and plunging to a depth of up to 6,000 feet, it is one of the most awe-inspiring natural landmarks in the world. Until recently, park administrators relied on an old tape-based video recording system to review complaints, but because the system was old and failing, the park decided to find a better solution. Though famed for its rugged beauty and spectacular scenery, America’s favorite wilderness park takes on some of the characteristics of a clogged Los Angeles freeway during the height of the summer vacation season. Fee collectors, especially those manning the entry lanes at the park’s busy South Entrance, are convenient targets for visitors stressed out by the heat, the long lineups and the noise levels in the back seat. Until recently, park administrators relied on an old tape-based video recording system to review complaints, but “The system was old and failing, so we decided to find a better solution,” says Grand Canyon Fee Program Manager, Paul Cox. Working with Fields Consulting of Phoenix, park administration identified all of the requirements the new system would have to meet. At the top of the list was a requirement for a video recorder with a sufficient number of audio channels to record conversations at all four entry lanes at the South Entrance. Equally important was the need to integrate the video recorders with the park’s Point-of-Sale (POS) retail transaction system. Video quality, storage and reliability were also identified as important factors in the choice of a recording solution. Fields Consulting researched the market and selected March NetworksTM technology as the best fit for the Grand Canyon deployment. Audio and video are now recorded at all three park entrances, including the South Entrance, the Desert View entrance 30 miles to the east and the seasonal North Rim entrance across the canyon. Additional recorders are located at the park’s largest campground and in the fee management office, where they provide coverage of cash counting rooms and safes. Integration with the POS system helps park administration reconcile occasional cash discrepancies. Video from the March Networks system has also been used by various law enforcement agencies to investigate a wide range of incidents. In one investigation, video evidence assisted in tracking a missing person from the park entrance to the main campground. For the most part, however, the system is used for resolving visitor complaints. “We go back to the video to make sure that our employees have done the right thing and, often, we find it’s the visitor who was out of line,” says Cox. With between US$23 and US$24 million a year in park entrance and campground fees being collected, the recording system also helps to deter improper handling of cash. The 4000 Series recorders are all equipped with 1 TB of internal storage and provide park administration with approximately 30 days of archived video. The park is now planning to purchase a March Networks 6316 IP Encoder to accommodate a planned expansion at the South Entrance. Powered by March Networks new R5 Video Operating System loaded on an industry-standard server, the system will record both analogue and IP cameras over low cost CAT 5 cable, delivering high resolution video in strategic locations while leveraging the park’s current camera technology. “The platform will allow for a seamless evolution to an all IP solution in the future,” says Fields.